Birthstone Bracelet for Naming Day. A lovely bracelet made with ‘grade A’ cats eye beads and Swarovski Elements crystal birthstones. Featuring a pretty open heart charm with swarovski crystal inset. 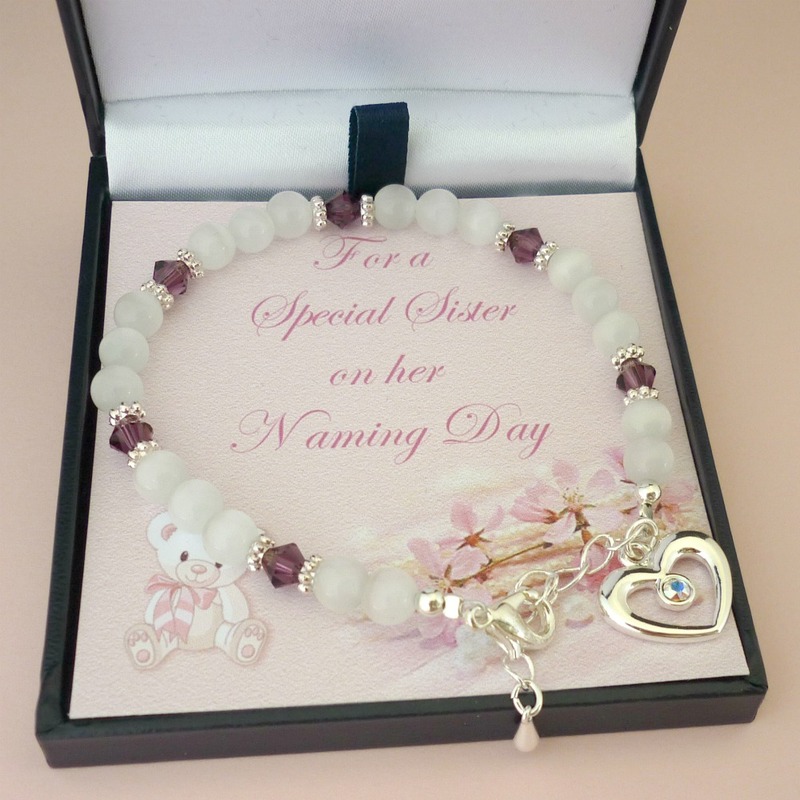 Your choice of Card Mount – For a Special Sister, Niece, Granddaughter, Girl or Daughter on her Naming Day. « Bracelet with pretty Swarovski crystal butterflies and stunning pink cats eye beads.